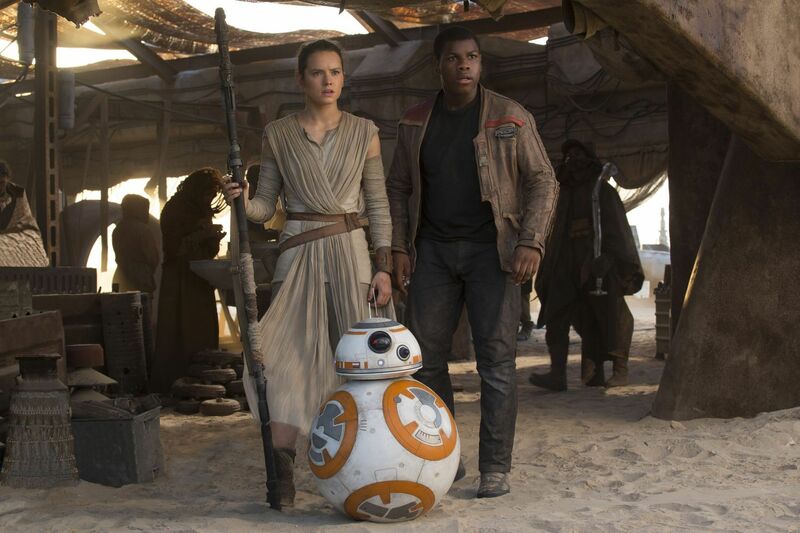 No one can deny that Star Wars: The Force Awakens was a huge win for Lucasfilm and Disney. It delivered on years of cautious hype with a solid movie that made an egregious amount of money for the studio. Fans loved it. The critics loved it. Even the harshest criticisms lobbed at the movie (like a plot eerily similar to previous Star Wars films) are typically considered nitpicks, not deal breakers. Warning: this post contains spoilers for Star Wars: The Force Awakens. A lot of this has to do with how TFA pleased both fans of the old movies and fans of what could happen next. Han Solo had a substantial role, along with Chewbacca and Princess Leia. And future movies promise to expand Luke’s story even further. But TFA also unveiled the next generation of Star Wars, and rightly so. Topped off with one character in particular who seems to be on everyone’s mind when talking about their favorite character in the movie: Rey. A lot of the discussion around TFA, which I’ve taken part in quite a bit myself, centers around who Rey really is within the context of the Star Wars mythology. 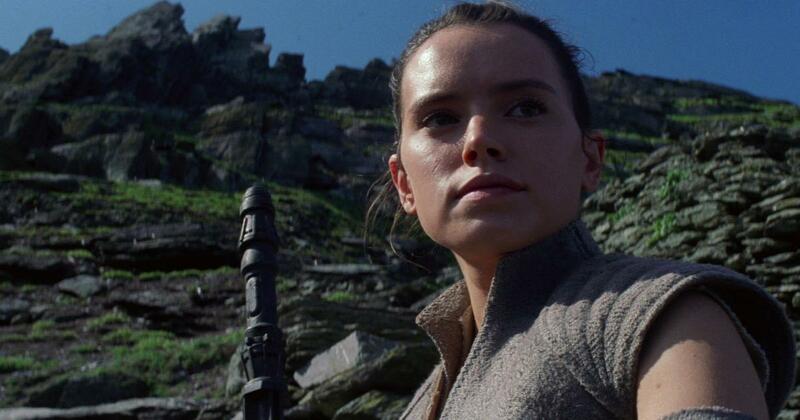 Most people are convinced she just has to be connected to someone we know, whether it be the Skywalkers, Solos, or even Jyn Erso from the upcoming anthology movie, Rogue One. For a lot of fans, it isn’t enough to speculate that she could be wholly new, and that’s mostly because TFA suggests many times through dialogue and specific story moments that this might not be the case. Specifically, Rey touches Luke’s lightsaber and immediately envisions the past and future places connected to the Skywalker relic, even hearing Obi-Wan address her by name. These secrets are likely to be uncovered in next year’s sequel and beyond, so I want to get away from all the theories (aside from how obvious it seems to me that Supreme Leader Snoke is Ezra from Star Wars Rebels) and settle on just one question about Rey: is she really a great character? She’s likable, obviously, and we can list off plenty of traits that make her fun and entertaining to watch. But is she a well-written character…or a boring one? I suspect most people reading this believe the former. And that’s probably because it’s wrong to say Rey is boring. The film’s most thrilling moments certainly revolve around her and how she reacts to various problems around her. She starts off as an incredibly resourceful person and becomes increasingly competent over the course of the film, which is pretty common for a lot of exciting characters we like in all types of stories. What makes a character “great” in the first place? Evaluating a character’s quality is definitely subjective, but we can choose acceptable criteria to make a case for why any given character is good or bad. The key is to weigh that criteria against the context of the movie. 007, for example, is supposed to be a character who undergoes very little character change (at least, before the Craig movies), even though we expect most of our protagonists to go on some sort of dramatic, life-changing journey, where the climax involves that character making a personal choice or discovery that wins the day. For that reason, some people consider 007 to be a weak character who’s still pretty fun to watch, because the movie surrounding him focuses more on how thrilling it is to observe someone competent solving tough problems in an interesting way. Other prominent protagonists, like Bruce Wayne, are considered great characters because they do undergo great character change that connects with their backstory, the antagonist, and how it all comes together in the climax. It’s this cohesion in storytelling that makes for a compelling character, rather than a somewhat average one. Not being “boring” doesn’t make a character great. From the moment she’s introduced, it’s clear that Rey can take care of herself quite easily, and she’s naturally talented at a lot of relevant things that become natural obstacles as the movie goes on. It’s not boring because we enjoy watching a well-rounded character solve problems that reference their backstory, which TFA pulls off pretty early on. For example, she figures out how to fly the Millennium Falcon rather quickly and even fixes things Han Solo can’t, not just because the plot demands it, but because she’s spent her life scavenging old ships on Jakku and presumably knows how they work. The same applies to a lot of skills Rey picks up over the movie. She becomes adept at using complicated Force moves without any training, and that includes the mind trick, resisting Kylo’s influence, and summoning the lightsaber out of the snow. In fact, there’s little reason to believe she’s actually observed anyone doing the things she learns how to do on her own. She’s just good at it because…she’s good at it. And that’s not a bad thing. Not all by itself. We can reason why she’s good at fighting, certainly, and how she manages to just barely defeat an injured Kylo Ren (even though she was losing for most of the fight). And like other movies with equally tough characters like Furiosa from Mad Max, the movie doesn’t spend time trying to explain why Rey is capable. You accept it because the main character of a movie should be unrealistically talented. It would be a bore, otherwise. It’s probably safe to say that Rey is the way she is because Lawrence Kasdan wanted her to differ greatly from Luke Skywalker, a noticeably more whiny and doe-eyed character by comparison. In the original trilogy, Luke struggled a lot on his path to becoming a Jedi. In the first film, he only has one meaningful encounter with the Force, and it’s the climax of the movie. He famously turns off the targeting computer and finally trusts in the Force to destroy the Death Star. It’s a great moment because it’s the end result of a character journey that started with a simple fascination in something mysterious. Kasdan went another route with Rey in order to shake things up, but I’m not sure if it’s quite as well thought out, as much as I appreciate the intent. 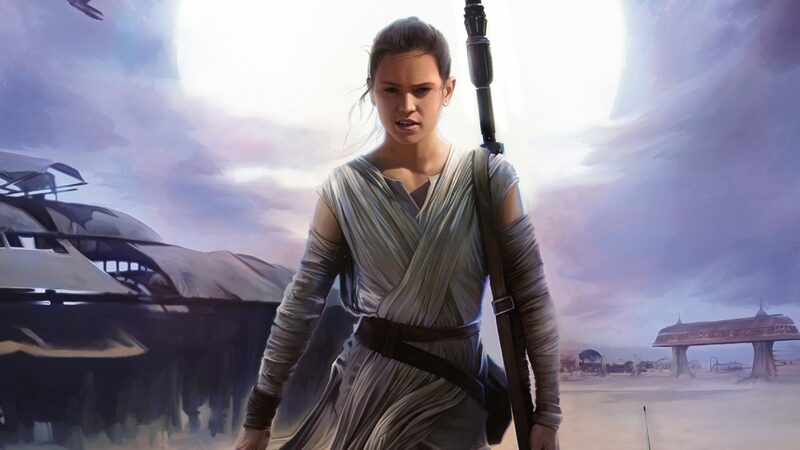 Rey is an awesome role model for kids because she’s strong, bold, and unrestrained by outdated gender stereotypes (which the movie goes out of its way to address, perhaps for the sake of the audience). She makes for a good audience surrogate, same as Luke, because she’s spent so much of her life away from the current events of the Star Wars universe, though the movie doesn’t treat her as a fish-out-of-water type who spends most of the movie discovering new things and asking questions. Unfortunately, though, Rey is mostly a character of don’ts. As if the writers crafted her in a reactionary way, not a thoughtful one, obsessed with ensuring she wasn’t just another Luke, just another cliche, or just another helpless “chosen one” who relies on others until the very last moment. This isn’t a criticism, necessarily, but it can explain why some people walk away from her character feeling somewhat cold, even though they like the idea of Rey and what she truly represents for the future of Star Wars (someone different and full of potential). Rey is too incomplete, and she shouldn’t be. 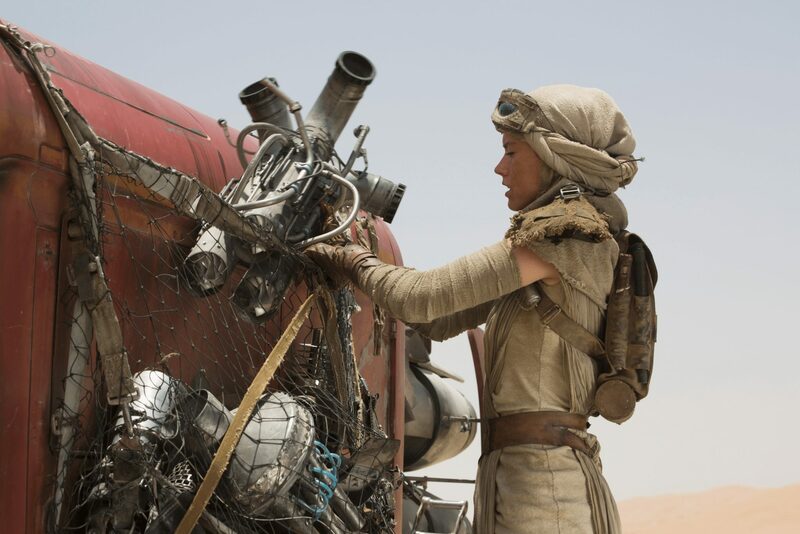 It’s hard for me to admit this, but there’s not much substance to Rey’s journey as a scavenger turned would-be Padawan. Her character change amounts to the secrets of her past that prevent her from wanting to fully commit to adventure with newfound family. This would make for a great story if these secrets were at least somewhat teased to let us understand why Rey was abandoned, or why she’s so eager to reconnect with the people of her past, rather than feel the appropriate resentment for them. Instead of these types of revelations, TFA relies on references from previous movies and hints of what’s to come in order to fill in the blanks, and Rey’s story gets somewhat lost in the shuffle of supporting characters and cameos, which is dangerous for your lead character. At no point do we understand why she has affection for her family because she never really talks about them, and the movie doesn’t either. It’s a hollow motivation, as a result, especially since Rey is supposed to be our eyes and ears throughout the movie, at least when Finn isn’t. And all of this is hurt by the fact that we already have to make guesses for why Rey is a good person, too, because her circumstances suggest she shouldn’t be quite so righteous. The obvious answer seems to be that she does remember life before being dropped on Jakku, which is a life that might have been full of love and warmth that shaped her. We need that context to understand the character now, but it was set aside for franchise purposes, and we instead had to focus on the growing excellence of Rey in the present. Again, it’s just fine for a lead character of any movie to be unrealistically exceptional. Harry Potter is a good example of this, but mostly because that story centers around Potter’s unwillingness to be noted as extraordinary, due to the pain of that fame being associated with the loss of his parents. Rey puts on a tough front, in comparison, and we never get that moment of vulnerability aside from flashbacks that briefly display a snapshot of how she was abandoned, with nothing close to an explanation or exploration of these ideas. Back to Harry Potter, it was good for those books to not tell us everything all at once, but at least in that story, we understood the basics: Harry Potter is the boy who lived, famous for ending Voldemort’s rise to power. There’s nothing comparable to that in TFA, aside from the overt: the Force has awakened through Rey for unknown reasons. Come on, not even short stories are that thin. With Rey, we only know that she was abandoned as a child and is somehow a “Force” of nature. Characters briefly suggest that they know who she is or question who she is, but nothing is made of her place in the universe, which I think is a misguided plan. The filmmakers want us to endlessly speculate and come up with theories, but the end result is that none of these theories feel right. Because we have very little information to go on. Rey will probably be a “great” character later. Maybe. This is probably enough for some fans, but not for me. I like Rey because of Daisy Ridley’s performance, her iconic look, and how different she seems. But I can’t say she’s a well-written character because there’s just too much lacking for the sake of teasing future movies. If it takes a sequel to change my mind on this, then that’s a tragedy of storytelling. We didn’t need three movies to relate with Luke Skywalker or understand his motivations. Yes, he evolved over the trilogy, but in one movie, we were able to wrap our heads around his values and the stakes of this universe. 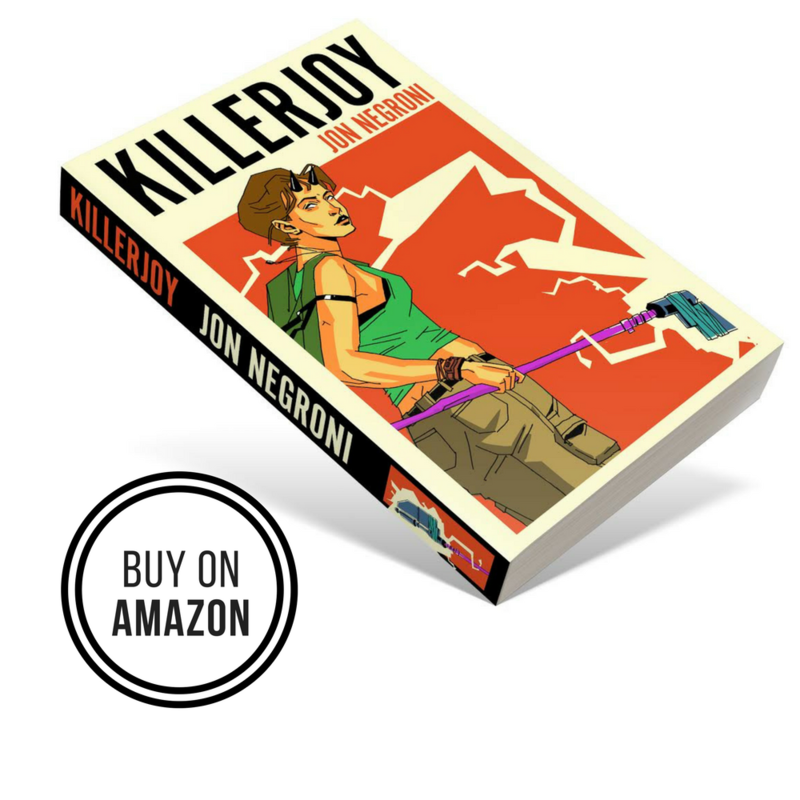 There was already an ultimate antagonist tied to his journey, as well—a seemingly insurmountable danger that he needed to face one day. TFA holds back a lot of these details, like what the First Order really is and the relationship between Rey, the Resistance, the Republic, and so on. The sad thing is that it only takes a basic shuffling of information to get Rey’s arc on the right track. 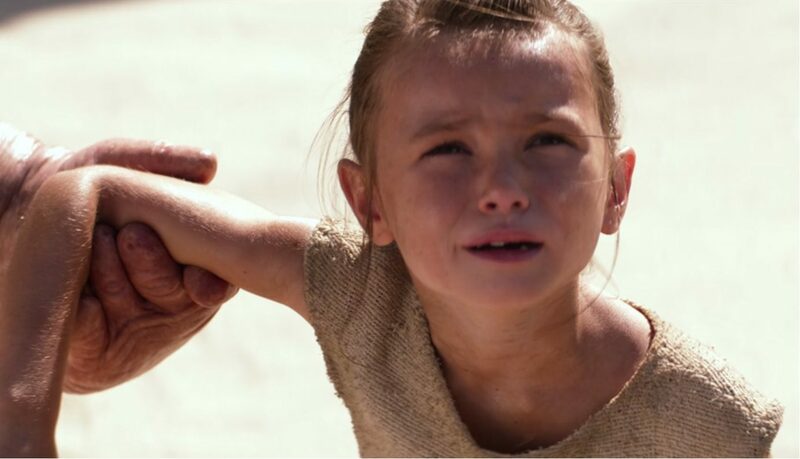 Unlike Luke, Rey appears to have had a more isolated and less loving childhood, which is why she doesn’t trust easily in the first act, at least for a time. This entire character trait is eventually dropped as the movie brings her together with Finn, Han Solo, and Chewie, whom she forms quick bonds with (more on that, later). Going even further, it’s strange that Kylo trying to probe her mind doesn’t seem to evoke true bitterness from her, even though it’s a clear violation of her independent personality. The movie instead sets up dramatic weight by killing off Han Solo right in front of her, which is undercut by her initial reaction to run away again (a smart move, nonetheless). Rey is flawed, but the movie forgets that. I’m convinced that a movie can be great when the main character starts off capable and only gets better. But they need relevant character flaws to make the journey interesting and believable. Rey’s flaws are purely superficial and reactionary, saved only by a fluid performance from Ridley. She shows genuine fear during dangerous situations, and there’s clear self-doubt on her face as she gets to know the galaxy and eventually runs away from her destiny (the Force). In short, she’s definitely reckless, and the odd thing is that movie rewards this flaw more often than it brings upon real consequences (like when she tries to help Han and accidentally frees the Rathtars, which ends up working better than her initial plan). When Rey acts before thinking, it almost always works out for her, save for when Kylo initially knocks her out in the ending forest scene, before she acts recklessly again and starts to fight him. And she uses this flaw to ultimately beat him, going after him without any meditation or introspection, just her own willingness to exude the Force. The problem is that flaws like these only work when they run counter to a character’s key strengths. Otherwise, it feels like the character is unrealistically protected by the writers, when they should instead come off as vulnerable with room to grow. In the case of Rey’s recklessness, they’re one in the same because she benefits a lot from acting without thinking throughout the movie, so the climax doesn’t present any sort of personal challenge for her to grapple with. Fortunately, this isn’t the only major flaw we see with Rey. The other more prominent one is her loneliness. Rey grew up alone and had to fight for everything she has, living day-to-day in a merciless existence. We like her because she’s still very human after all this, showing she has an innate righteousness, down to when she decides to help BB-8, rather than sell him off for food. But this pivotal moment (Rey choosing to help people) isn’t rounded out well by her flaw of feeling lonely and wanting to reconnect with her true family. It’s really only the beginning of an interesting character arc that the movie forgets about, or at the very least decides to put off until the sequel. Specifically, she contradicts her flaw of loneliness constantly throughout the movie, because she’s quick to help others in lieu of remaining on Jakku to wait for her family. There’s a conflict, certainly, between the attachment she has for her new friends and the unseen family she sometimes references. There’s no “turning off the targeting computer” moment for Rey because she never really makes this choice in earnest. She’s captured and eventually tries to run away again, only to get hunted by Kylo before ultimately defeating him. There’s no personal challenge she has to overcome, aside from embracing the Force, which she had already done well before the battle with Kylo. The main point, though, is that despite the fact that Rey has interesting, even intriguing character flaws, the movie fails to serve up a story that actually puts them to the test against the things she’s good at. There’s a kernel of a rounded out character here, where her independence should clash with her decision to rely on others, including the Force, but we see too much of the opposite occurring as well. The fact is, Rey’s character doesn’t make much sense. It’s these exact contradictions that makes Rey seem less compelling than she should. Ditching the base instead of getting revenge for Han’s death lines up nicely with the Rey we met in the first act, who looks out for herself first and foremost. 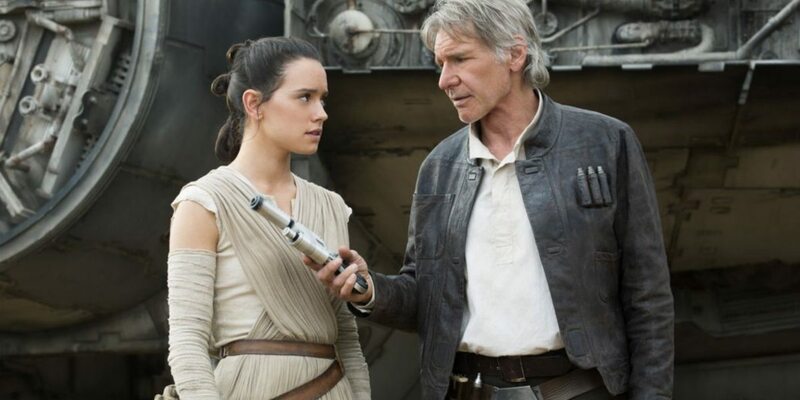 But the entire middle of the movie sets her up as someone who wants to help and make sacrifices, especially against her own interests, until an encounter with the lightsaber convinces her to run off yet again, because all of a sudden she wants no part of what’s happening…even though right before that, she pleads with Finn to help the Resistance, rather than flee. If the movie was following an intelligent trajectory, then this would mean Rey’s final test would be to stand up to Kylo instead of running way, which the movie almost does, but actually too late. She and Finn flee into the forest, until Kylo finds them. Then Rey stands up to him, calling him a murderer for killing his own father. She tries to fight with a blaster, but Kylo stops her easily. Then she stands up to him again to save Finn, only this time using the Force. This is the problem. The movie wants Rey to have the same “turn off the trajectory computer” moment that Luke Skywalker has in A New Hope, even though this character development doesn’t fit in with the rest of the movie. The only moment she hesitates to use the Force is when she touches Luke’s lightsaber, but it’s not established why she’d be averse to using the Force at all (only speculation). Then it “awakens” in her, and she uses it with full confidence and without hesitation. So her grabbing the lightsaber in the forest falls completely flat as a dramatic moment (just a “cool” one), and it’s a result of intertextual plotting instead of meaningful character writing. Her victory over Kylo should have been a battle of willpower, because that is how their characters were set up over the course of the film, with Kylo having the training, but none of the mental discipline, while Rey has the exact opposite. She should have won by outsmarting him, because that would have been surprising and developed from previous learning. There’s even an entire scene that shows just how much more competent she is than him mentally, but the movie tries to posit that she wins simply because of a stronger connection the Force, which is an unnecessary and yes, boring, path to victory. And all of this can be so easily fixed that it’s painful to point any of it out. For example, when Rey performs the mind trick on the stormtrooper, it would be far more dramatic and compelling if she sensed it might be wrong for her to do this, as someone who detests being controlled and manipulated might hate the idea of using the Force. That would certainly set up why she would hesitate to use it as a weapon at all, until finally accepting who she is in order to save Finn and eventually seek out Luke. Instead, Rey jumps at the chance to use the Force to get inside someone’s head so she can escape, and it makes for weak character development and a missed opportunity based on what’s already present in the script. In fact, it’s really just confusing because there’s no mention of this ability throughout the movie to create context for how Rey knows what the mind trick even is. The movie simply has her fail two times and then get it exactly right (a running theme in the movie), though to the film’s credit, they masked this well by subverting the scene into something humorous. I don’t hate this movie, and I certainly don’t hate any these characters (some of them being far worse than Rey for similar reasons). But Rey is too cool a character concept for such a lopsided script. Abrams has always been great at concepting characters that people like and want to get behind, but he’s often struggled at setting up believable paths for them to go on (see Lost). I have to believe that the fascination we have for Rey—especially concerning those final moments between her and Luke—have more to do with empty cliffhanger teasing and less to do with a natural evolution of a truly great character. Is she a good character? I certainly think there’s room to suggest that based on the various positives noted above. And it’s off-base to call her a bad character simply for not being close to perfect. But the incomplete nature of her arc leads me to believe she’s inconsistent and incomplete at the moment, which is a travesty. I believe she should be more than great. She should and hopefully will be revolutionary. I have to say, I totally disagreed with the headline, but I literally can’t think of a counterargument. Well done. I can’t really think of a way to reject this (yes I can, but I won’t). I do have a objection to one thing, though. About the issue of Rey not feeling bitter about her family leaving her. See, the thing about that is that she CAN’T feel bitter. Life on Jakku can be pretty scarring. You have to be incredibly tough to survive, which Rey obviously is. But the thing about her family leaving her is that she wasn’t left with nothing— her family leaving meant that there was a possibility that they would come back. 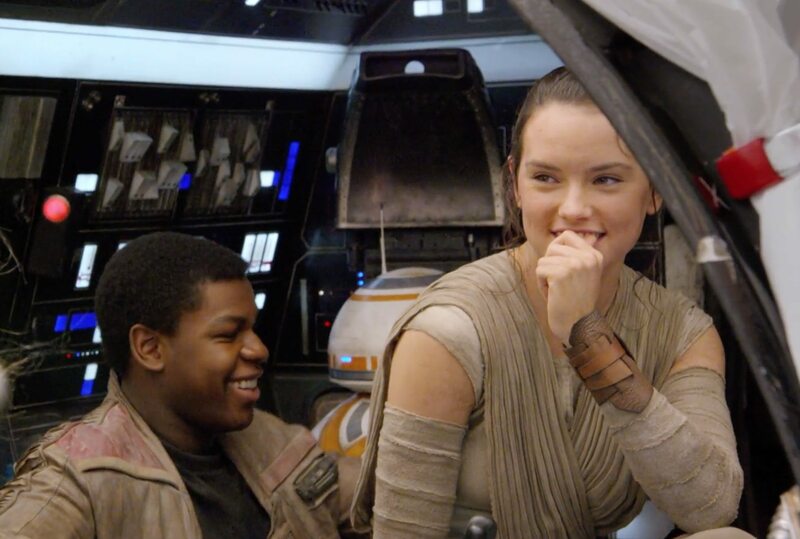 Theoretically, Rey can’t leave Jakku. She’s stuck there— and without hope, a springy soul like her might very well wilt. She COULD’VE felt bitter about her family leaving. But instead, she chose to hope that they would come back. And because of this, she survived. As someone who really likes Rey, I appreciate the honesty in this post. All characters should be discussed and criticized equally, and I’ve noticed too many critics and writers who shy away from daring to say anything bad about Rey, lest they be crucified online. Good arguments here. Your article summed up many of my own reservations about Rey, and nailed down a few things I vaguely felt were off but couldn’t quite put my finger on why. 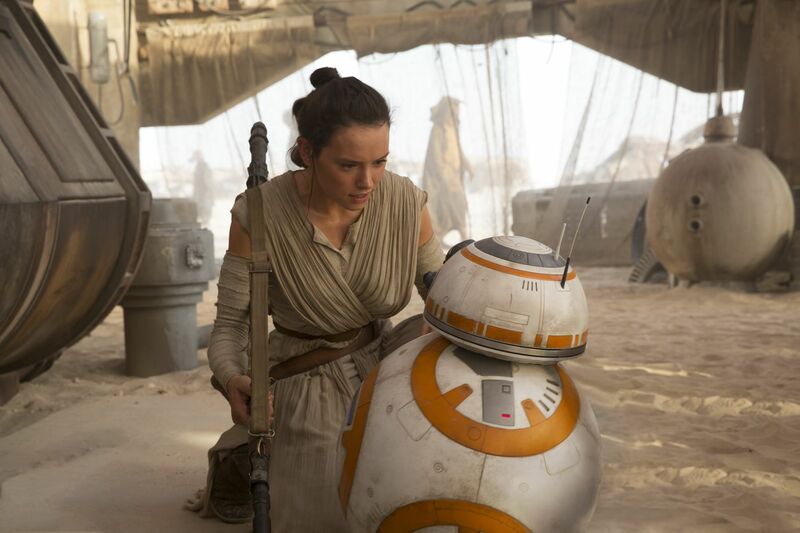 I love the idea of her character – a tough scrappy survivor – and Daisy Ridley’s performance is something special, but the writing behind her character is severely lacking at the moment. It’s like they put everything into making Rey as winning and likable as possible but that’s all they concentrated on and unfortunately likability doesn’t equal substance (Finn’s character suffers from the maximum likability even more so than Rey). I thought in general that it was a weird way to write your protagonist: most characters I can think of who start out in miserable conditions dream of bettering their lot, or leading more exciting lives, but all Rey wants for the majority of the film is to get back to her wretched planet and passively wait until her family shows up. And now that this motivation is a dead end, I’ve no idea what she wants or even why she went to Luke’s island. Did Leia send her to talk her brother into coming home? Does Rey actually want to be a Jedi or learn about the Force? I’ve no idea, which is why it’s hard to see what Rey’s overall arc is going to be in these movies. Unless she is meant to be a more passive protagonist like Max in Fury Road who gets caught up in other characters’ more dynamic stories. I agree with a lot of what you have said in this article, but I do really enjoy and appreciate the character of Rey (in my opinion, she was one of the best new characters in TFA). I think that lots of people need to keep in mind that we are only one movie in; we have yet to experience her full arc. Once we see the big picture of the trilogy, after all is revealed, THEN it would be an adequate time to pick apart this character, her motivations and actions, her past and future. But for now, even if I don’t agree, great analysis. Keep it up! In fact, there’s little reason to believe she’s actually observed anyone doing the things she learns how to do on her own. She’s just good at it because…she’s good at it. Yes, it is. It is a bad thing. I really got tired of her being able to do so much.